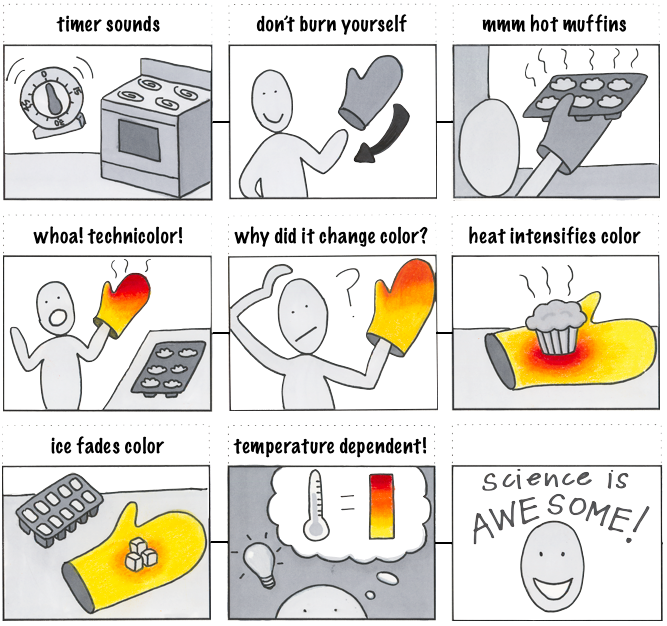 The Mitts product line gives users detailed feedback on the physical characteristics of a kitchen oven mitt. The experience connects the user to the physical world in a scientific and highly-technical manner. The product is a high-tech and fun gadget for a normally mundane situation. Explore how our designers conceptualized this product by clicking on the names above.